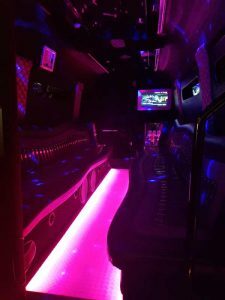 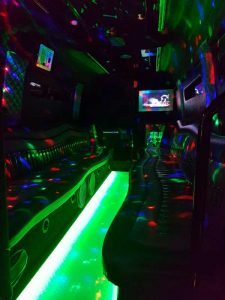 This pink Party Bus is sure to turn heads as it arrives at your chosen pick up point, ready to whisk you away on a journey filled with fun before arriving at your destination. 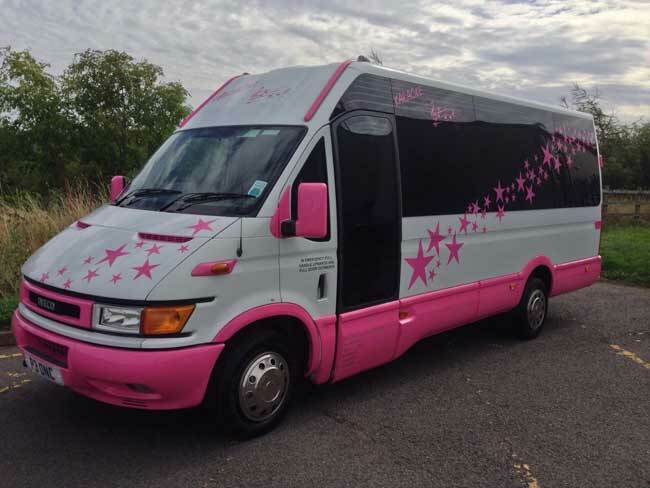 It seats up to 16 people. 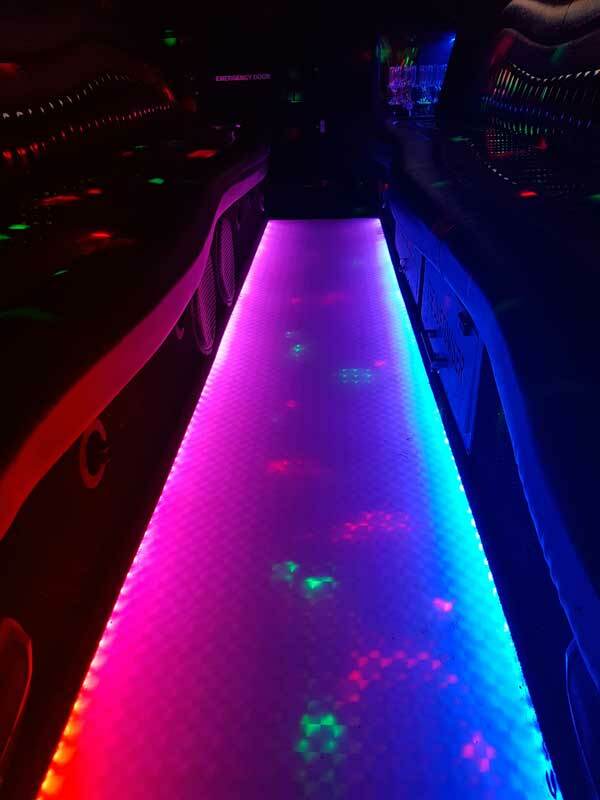 It’s disco floor really sets the party mood and it’s sparkly seats add a touch of glamour. Being pink this Party Bus will suit the girliest girl but it’s lovely interior is enough to tempt anyone! 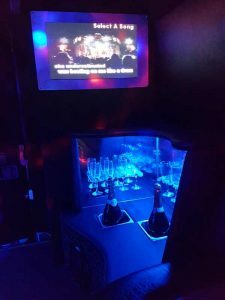 As well as the disco floor, Pretty in Pink offers a great sound system, a karaoke machine, two T.V’s, lasers, disco lights, two lit up bar areas, a mirrored ceiling and aircon for the hot days. 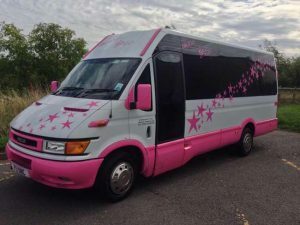 There is no boot so this Party Bus is unsuitable for airport runs but it is still ideal transport for birthdays, hen parties, proms and races! Please call 01287 653088 or 01642 509286 for more information or prices.